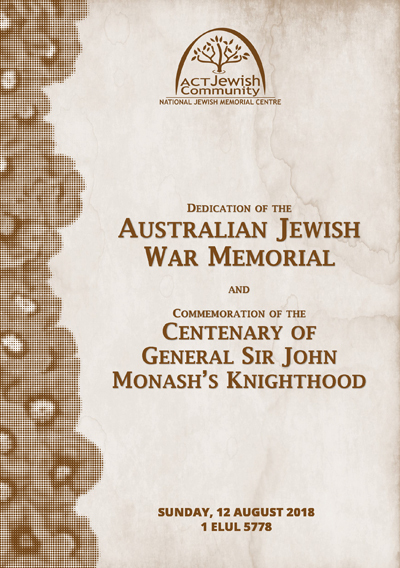 Commemoration of the Centenary of General Sir John Monash's Knighthood. Click on the image to view the program. With many thanks to Peter and Gloria Allen for filming the event.